How to use and handle your DBands tools? Home // How to use and handle your DBands tools? 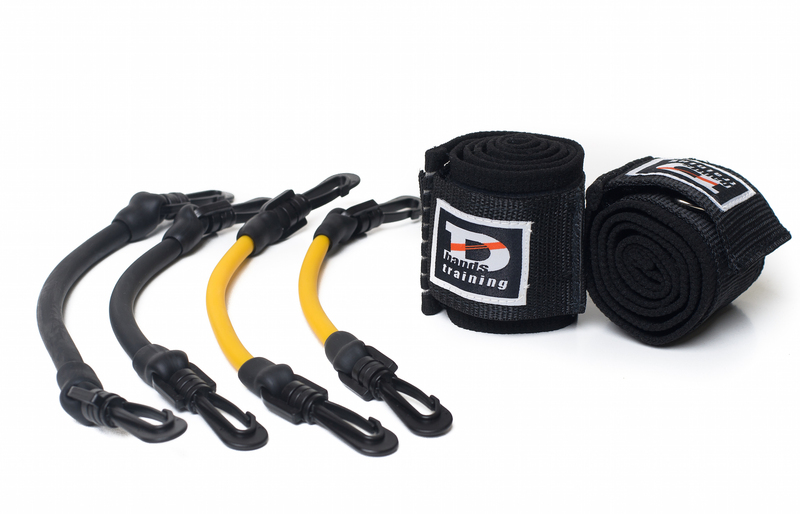 These bands are to be used when performing exercises lead only by qualified DBands trainers. The GaraSport Ltd (Kft.) will not be held responsible for any injuries due to improper use, or for damages caused in the equipment by mishandling. You will only be able to use the bands properly if they are fastened as they shold be. You have to fasten the elastic fastener above the knees so that the rings are on the outer side of the thighs and you have to attach the rubber bands to those. Always use the longer bands in the front and the shorter ones in the back of the thighs. Always detach the bands after use! Consequently, proceed to clean the velcro fasteners with a disinfectant spray in commercial use. Dry the tools in a spread out position. It is practical to store them in a plastic box that you only use for this purpose.